Abstract: Freud’s 1918 Wolf Man (der Wolfsmann) Case will be reconsidered from both an historical and a current psychoanalytic perspective. The famous Wolf Man dream will be seen with new eyes, far beyond the symbolism of primal scene trauma. 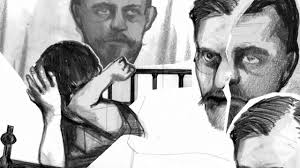 Today we can understand that the Wolf Man had a severe personality disorder, in which developmental object relations issues highlight the reality perception, identity formation, and the fragile narcissism that promoted psychic arrest and an interminable treatment dilemma. Both psychoanalysis and psychotherapy are taken to task, as the experts on the Wolf Man examine the mind of the man, which fascinated Freud, but which left the patient with lifelong pathology, and which played itself out during the historical brewing of psychoanalysis, and in a social climate that did not yet have words for object relational dynamics. Dr. Harold Blum was heir to the Rorschach test findings on the Wolf Man, after the Rorschach test was administered to the Wolf Man later in his life. Through such testing, the formulations of developmental disorder and borderline personality were formulated. Dr. Blum will discuss the complex relationships between the Wolf Man, Freud, and the psychoanalytic community in the context of contemporary psychoanalysis. 1) Analyze the adult borderline personality and its complexities. 2) Discuss the treatment of the borderline with severe object relations disorder and narcissistic features that should allow for a choice of psychoanalysis, dynamic psychotherapy, or supportive psychotherapy. 3) Analyze specific issues of termination of analytic treatment, which depends upon each patient's psychopathology as well as intact personality resources. 4) Discuss the therapist's object relationship, counter-transference, and real feelings about the patient, which are vitally important to the treatment process and outcome. Two senior psychoanalysts, faculty members of ORI, will present their commentary on Dr. Blum’s presentation. They will focus on intrapsychic object relations issues, as well as overt relational issues, from various theoretical perspectives, with particular emphasis on the theories of Wilfred Bion (Stefanie Teitelbaum, LCSW-R, NCPsyA) and the French intersubjectivists (Eva Papiasvili, PhD, ABPP). 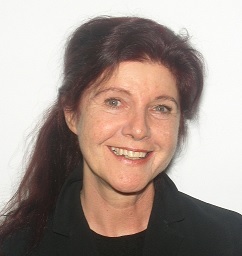 Abstract: In her discussion, Dr. Papiasvili will expand on specific configuration of psychic conflict, processes of trauma and posttraumatic development, with consequent alterations to affective-cognitive functioning in areas of memory, temporality, and constriction of symbolizing and representational capacity pertaining to borderline personality organization of the patient known to psychoanalytic community as the 'Wolf Man'. In this vein, developmental and clinical concepts of the French object relations 'Third Model' theorizing will be introduced as an additional viable perspective shedding light on and broadening our understanding of the complexities of the Wolf Man's (and borderline conditions with traumatic etiology in general) serious impediments. Vignettes from Dr. Papiasvili's clinical practice, e.g. the published case of 'Laura - The Wolf Girl' will be elaborated and discussed, to exemplify the clinical viability of such an approach. 1) Analyze and discuss non-traditional object relations perspective of the French 'Third Model' Intersubjective school of thought. 2) Apply the French 'Third Model' perspective to the development and clinical work with patients with borderline conditions and other serious personality disorders with traumatic etiology. “The capacity for visual imagery, the capacity for hallucination, has its direction reserved and is used for the purpose of inserting into the analyst, through the analyst’s eyes, feelings which the patient wants the analyst to have. (W.R. Bion, 1967, p.101)”. 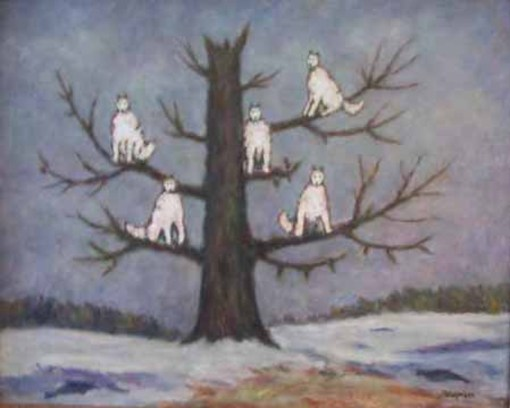 Stefanie Teitelbaum discuss the Wolf-man’s iconic drawing of the dream of the white wolves in the tree as such an image created within the time and space of his analysis with Freud as an effort to reach Freud’s mind through his eyes. Sharing Dr. Blum’s conclusion about the Wolf-man’s borderline and developmental trauma, Ms. Teitelbaum will comment Dr. Blum’s journey through the lens of Kleinian and British Object Relations, as well as a Relational lens of the drawing as a co-creation representing the mis-attunement between Freud and his patient. 1) Discuss Kleinian and other British object relations theorists perspectives supporting Dr. Blum’s conclusions of the Wolf-man’s borderline and developmental symptoms. 2) Discuss possible meanings and clinical usage of images created in psychoanalytic treatment. Harold Blum, MD is a Training and Supervising Analyst at the Institute for Psychoanalytic Education, affiliated with New York University School of Medicine. He is a Distinguished Fellow of the American Psychiatric Association, and the Executive Director Emeritus of the Sigmund Freud Archives. He is also the President of the Psychoanalytic Research and Development Fund. He is Past Editor-in-Chief of the Journal of the American Psychoanalytic Association. In addition, Dr. Blum is now retired from his position as a Clinical Professor of Psychiatry of the New York University School of Medicine; and he is the Past Vice President of the International Psychoanalytical Association. Dr. Blum is the author of more than one hundred and seventy psychoanalytic papers and several books. He is the recipient of numerous awards and lectureships, including the inaugural Sigourney Award, Mahler, Hartmann, and Loránd Prizes; S. Freud lectures in New York London, Vienna, and Frankfurt; A. Freud, Hartmann, Brill, Friend, and Sperling Lectures, two plenary addresses to the American Psychoanalytic Association; and Robert Walder Memorial Lecture (Philadelphia). Last but not least, Dr. Harold Blum has been the Chairperson of five symposia on Psychoanalysis and Art in Florence, Italy. Eva D. Papiasvili, Ph.D., ABPP has been a Senior Clinical Faculty and Supervisor in the Doctoral program of Clinical Psychology at Columbia University in New York, for the past 30 years. She is the past Executive Director and Dean of the Institute of the Postgraduate Psychoanalytic Society where she has been a Training and Supervising Analyst since 1996; Teaching, Supervising and Training Analyst, Object Relations Institute; Founder and Chair of the Psychoanalysis, Art and Creativity, www.psychartcreativity.org, an Affiliate of the International Association for the Arts and Psychology; Editorial Board member of the International Journal for Group Psychotherapy; a Guest Contributing Editor and Reader for the International Forum for Psychoanalysis and for the Psychoanalytic Inquiry. In 2014, she has been appointed a Co-Chair for North America (USA, Canada, Japan) of the IPA Inter-Regional Encyclopedic Dictionary of Psychoanalysis Task Force. Stefanie Teitelbaum, MSW, B. Music – is the Supervising and Training Analyst, Faculty of NPAP, ORI, and IEA; also former IEA Education Director; former staff psychotherapist at the Lower East Side Service Center, Drug-Free Out-Patient Program. Currently, in private psychoanalytic practice in New York City. Papers published in the American Journal of Psycho-Analysis, Other/Wise (an on-line peer reviewed journal of IFPE) and The Psychoanalytic Review. Stefanie Teitelbaum is the former Opera Singer and Member of the Grace Chorale of Brooklyn. This conference will be dedicated to late Audrey Ashendorf, who was a big part of ORI community and who served as the Admission Chair, Senior Supervisor, and a member of the Training Committee for many years. ORI is creating a special Audrey Ashendorf Scholarship Fund to help mental health practitioners in Belarus and other Eastern European countries striving for psychoanalytic object relations knowledge and training. Website created by MindMendMedia (last updated on 03/26/2019).